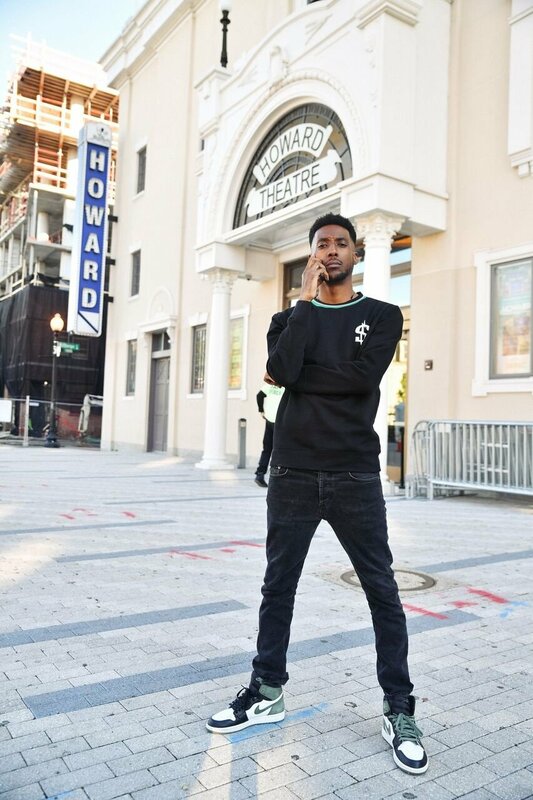 We talk to the Ethiopian-American rapper about his new album, his Washington Slizzards crew, and the impact of gentrification on D.C.'s music scene. Ras Nebyu is caught up in the crowd at Howard University's homecoming tailgate, where he can barely walk a block without shaking hands with another person who he knows. Although he didn't attend Howard University, the campus and the surrounding neighborhood forms as much of a part of his narrative as any student. There's a twoness to Nebyu's identity that allows him to create from a place of historical-cultural reverence while pushing forward new ideas. He was raised in a Rastafarian household by an Ethiopian dad and African-American mother. Nebyu doesn't hold much back when he speaks, like his music. He preaches about belonging to his community, gentrification and the diaspora. His work serves as a strong soundboard, for not only his Ethiopian community but D.C. natives. In 2011, Nebyu co-founded the Washington Slizzards, a collective of Ethiopian creatives in D.C. What started as a joke, tacking on "slizz" to everything, became a buzz-worthy crew. Around the same time as the group's inception, he began releasing music into the world. Nebyu first ventured into making music as a producer, but soon found it frustrating getting artists to use his beats. He decided to begin experimenting with using his own voice and hasn't slowed down since. OkayAfrica caught up with Nebyu to discuss the new album and growing up uptown. OkayAfrica: Tell us about your name and the meaning behind it. Ras Nebyu: My real name is Mebraknegodguwad Mahtemework. It literally translates to lightning and thunder sealed in gold. My Father is Ethiopian and my mother is African-American, but the only thing with my Dad was he was a little different from Ethiopians from his time, because he wasn't really conservative. He had a kind of revolutionary pan-Africanist outlook, so he gravitated towards Rastafarianism and extremism. My grandmother is a conservative Ethiopian Orthodox, she felt that name was way too extreme so she started calling me Nebyu, which means prophesier of the future, She kind of made that a rule in her house, so out of respect for her that name started sticking. I feel like in African tradition, you are your name. So maybe my personality is thunderous. You know like, maybe my nickname is the thunder man. I would say in that aspect, but really beyond that I'm not really too sure. I just kind of am. You are a co-founder of the Washington Slizzards, can you tell me a little bit about that? So before we had the name we were like a very distinct crew of guys if that makes sense. I mean D.C. is a very small place, so like if you don't know somebody there are 6 degrees of separation, so we just happen to know a lot of people. My uncle has always had a few delis around the Howard/LeDroit Park area so when he started kind of retiring and going back and forth between Africa and America, I became the manger of his deli. I would just hire a bunch of my childhood friends, my cousins and stuff, we kind of created this culture in the store where it wasn't like your typical African convenient store. We would play hip-hop music. We were younger so we related to the customers more. We really built a repertoire within the Howard student body. I mean the underclassmen, so that's how we sort of started getting recognition as a crew, as the Washington Slizzards and that kind of started as a joke. We would smoke weed and turn up and be like we're slizzed up. We would come with different variations of the word slizz. So one day we just came in the door and said we're the Washington Slizzards. We're the team and it went on from that, I don't think we dubbed ourselves the Washington Slizzards, but people would say it so much they started calling us and it literally became something we had to run with because that's what people were addressing us as. So you started making music in 2011, and the D.C. music scene has since evolved a lot. How have you seen yourself grow within this scene? In respect to that, I have to give a vantage point from the perspective of my age. I'm 27-years-old—and I'm only saying that to say a lot of the popping artist in the area are between the ages of 18-24. I've been around to see the scene grow literally for the last 10 years. Over the last 5 years I've been one of the most consistent guys and I'm definitely realistic. I'm definitely one of the most self-sufficientm meaning that I have an audience outside of the DC scene. One thing that I've noticed is that the scene has definitely gotten bigger over time and [getting] national recognition. So as far as like myself, I started off producing in like '05, '06, '07. So I have the vantage point of being that guy when this rap ish just started happening in the area. I was the guy who was like emailing artists, artists that are on the forefront, begging them to get on my beats. When that didn't quite all work out I was like, I'm the only one who is going to be able to jump on my beats. So you started off as a producer? Yeah, that's how I started out. So I was in high school and I had the opportunity to see a lot of like the preliminary growth of the scene from Wale to Tabi to King Pen Slim, XOs, and even Lola Monroe. There are a whole bunch of people I can't even name who are like in that first wave of DC rappers. I was really aware and keen to it, but I didn't start getting into the mix until about 2013. So I've always had an idea of what I represent. So you have to think, around 2011/2012, there wasn't really a conscious artist of the area, I'm not trying to box myself in as a conscious artist, but I'm very aware what I'm not trying to speak about, and what I'm not going to try and sensationalize. Like I'm really from the ghetto, I'm really from the hood. I've seen too many lives affected and fucked up for me to use that as a marketing tool or as a means for me to try and monetize my music, you know what I mean, so that isn't necessarily the easy route if you look at getting marketed and sold to people from our neighborhoods. People are monetizing our pain and ghetto. I'm opening myself for brothers and sisters like me who are from Detroit, Oakland, LA, Florida, Texas, Toronto, all throughout the diaspora I'm letting you know from an intellectual perspective what it's like to be from the nucleus of the ghetto. The reason I have to put forward the intellectual prospect is because a lot of times you'll have a lot of people who look like us, who will have a certain level of education and be speaking from a strictly ethnic standpoint, but not from a social standpoint. Like yeah you're black, but you're not from the ghetto like we are from the ghetto or you are from a certain social level, so even you coming into some spaces can be looked at as gentrifying because you are coming with a certain kind of hunger that you don't have. You notice that culture is perpetuated by the poor. What I mean is look at all these rich ghetto fabulous niggas right, they are waiting to tap into what is going on in the ghetto as a way to make their money. Like if you see someone co-opting the Bloc Boy JB dance, these corporate entities, these larger corporations have to tap into what is happening in the poorer communities because they are the pulse of the culture so what ends up happening is when they come down to us they end up getting recognition in a sanitized form. By me having an African-American mother and an Ethiopian father, I feel like I'm in the middle of fighting ignorance on both of its sides. Tell me a little bit about that that, what was it like growing up in a black and Ethiopian household? We all black, so growing up I always understood the environment my parents created around us, the things they taught us from both Ethiopian and African American culture were a product of their Pan-Africanist perspectives and views on life in general. What does "Uptown Lion Walkin" mean? I'm from uptown Washington, D.C. there's a lot of pride in that. I love where I grew up. I grew up in literally one of the most historically black cities. Being uptown allowed me to be proud of every part of my blackness. Even though I'm not Nigerian, I knew so many Nigerians growing up uptown. I'm proud to be able to walk up and down U street based on history. I'm proud to perform and pack out shows on U street based on people who have done that before me. The Duke Ellington's the Marvin Gaye's, that's how proud I am of being from DC. Specifically uptown, so that's why I pump uptown crazy. I grew up around Kennedy Street however, the dynamics in D.C. were every 3-7 blocks it's a different neighborhood that was beefing with each other. The reason why I say uptown over my specific neighborhood is because in this age of gentrification us Black people can't afford to be beefing with one another and when I say uptown I want it to be all-encompassing. I'm from Ethiopia, I grew up as a Rastafarian, and Lion is like our spirit animal. If that says anything, whether that's as an Ethiopian national or as a Rastafarian revolutionary, Lion is synonymous with our movement. So that's where that comes from. And then walking is my means of transportation. My parents didn't really have it like that to buy me a car at 16 just because I'm of age, so I got around on public transportation. I got around walking. Going into this project, I experienced this sever case of writer's block to the point where I couldn't even think and what I would do is literally take walks around the city. These walks literally helped me open my mind up to writing and to come up with song concepts and to just really understand what's going on around me. Those walks inspired every song on this album. So this album is not a thematic album, but the title "Uptown Lion Walkin" just lets you know what I was doing when I was getting these feelings out. Every song I literally wrote or conceptualized on my walks—whether it was around Kennedy Street, whether it was around Takoma, whether it was around Adams Morgan, U Street, or Howard. Wherever, but all of these songs, bars and concepts just came from casual walks around uptown D.C.
What is your favorite thing about DC. Do you have any favorite spots that you like to go to? Where we are right now (Habesha Market). Like 9th street, well yeah I grew up here. It's kind of like the Waffle House. You know how you have Waffle House down in Atlanta. Everyone within the diaspora comes to Habesha Market on 9th street because it's open until 5am on the weekends. My following, my listeners naturally come out of places like these and this is why I love it. I will say that regardless D.C. is a very elitist place, very class-based and I'm only saying that to say in this age of gentrification, this is very new. So we haven't really dealt with white people and thing is where we don't have racism, we have classism. So with that being said, when it comes to the music scene there is a particular bougie-ness about it. Do you ever feel like there's a cap on this city that causes artists to feel like they have to go to New York or LA to to get to that next level? So, go out of town, LA, Atlanta, New York , those are the three music capitals of the world. If you go to one those three places they are going to name you five people. Those people are going to be considered the gatekeepers. Those people are very particular about who they tell New York, LA, ATL, about who is popping in DC, because again it's such a small place there are 6-degrees of separation. When that popping dude tells you about who is popping in this city he is going to tell you about his homeboy. He is going to tell you about his friend. He is going to tell you about someone who he has a business relationship with, as opposed to the person who is naturally popping, so what that does to the people who are bit more invested in the scene from a local tip, that makes them a bit more resentful to the niggas that are popping. So the only way that we feel like we can bust out of here is that we have to leave here. Because we've done everything that we can do here that's popping, but the people who have that national recognition for whatever reason they aren't acknowledging that we have a kind of angle. If they give too much life to someone who might have done it better or that might have more of a hold on the people they might feel like their spot is questioned. 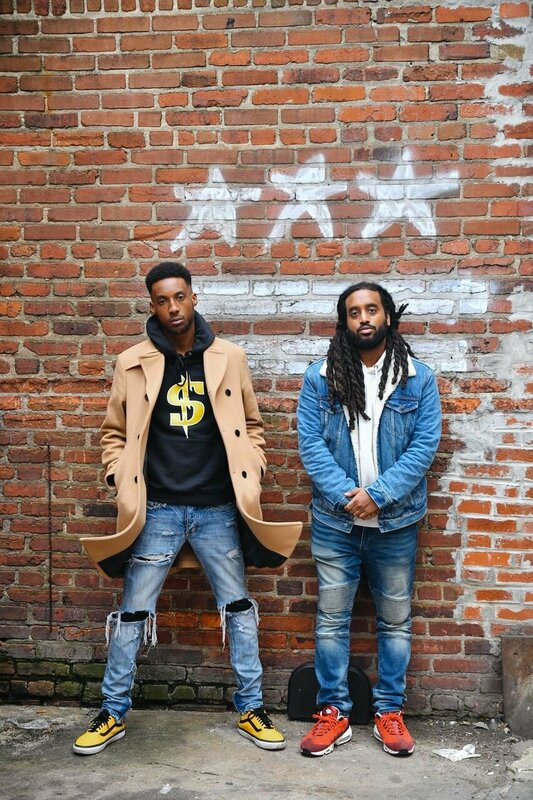 Gentrification is a big part of the visibility of the D.C. rap scene. Can you break that down a bit more? How has gentrification impacted D.C.'s music scene? Hip-hop is much easier to decode & understand from outside looking in. It educates the suburbs and everyone else outside of the culture of the inner city on how we live, think and feel. The middle/upper class can have a safe/distant safari-like ride through these trials, tribulations and aspirations via audio. Go-go on the other hand is culturally impenetrable so you won't get it or what's going on if you're not really from here (gentrifiers). Hip-hop is more attractive because it's more entertaining & tolerable for out of towners. That being said in DC, Go-gos got banned in the city around the same time rap started bubbling and gentrification as we know it today was just coming into full swing. The social reconstruction of the city re-engineered the way art and music is created and consumed. How would you describe your sound to someone who has never listened to you before? Sonically I would say like a hybrid between hip-hop music and reggae music, somewhere in the middle of that, you can throw in afrobeats as a wildcard. However, for the most part it's in that sphere of hip-hop reggae. When it comes to content I'm a pan-Africanist, and my content for the most part is going to be pan-Africanist. I'm a pan-Africanist so that's my music. Uptown Lion Walkin is out now.